For me right now, working the Farmer’s Market Saturday mornings (4:30 wake up, yo!!) Friday night has become super busy work time for me followed by a “lets get as much sleep as possible” thing. Tomorrow will be the third market this week, as there was a special July 4 market yesterday. With a just turned 10 month old in tow, it is hard work! 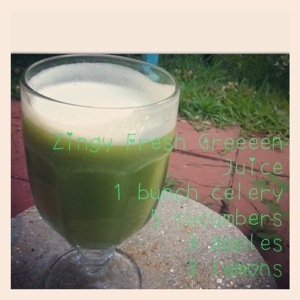 I’ve been relying on lots of liquid nutrition like smoothies and juices to power me through. 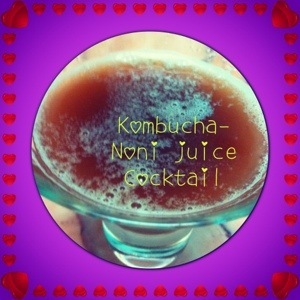 I had some noni juice for the first time! Verdict- foul by itself but pretty damn great mixed with kombucha! I will be having this the next time there is a festive occasion where I don’t want to be drinking alcohol. 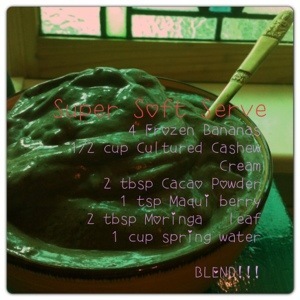 And this banana soft serve, pimped out with superfoods! Even with all that goodness + the goodness that is my life, today I sort of hit an emotional and physical wall. Seeing Amethyst transform from a dependent, bald little baby into an independent little girl is so beautiful to see, but at the same time it is testing my ability to enjoy each moment and to allow myself to let go and surrender to the inevitable flow of life to the limit! Of course I want her to grow into the being she was meant to be, but I can’t help but selfishly want her to stay a baby! She is my little starseed. I felt her grow inside of me and then I released her, into the world. Each contraction that rocked my being to the core, each primal push that brought her a little closer into this dimension is forever etched into not only my memory, but my cells themselves, as I am forever changed because of it. Along with by body which opened to give her passage, my heart as well was cleaved wide open, raw and exposed. And right now, I feel it all too well. I see her, this living, breathing, laughing expression of me, of my heart, out there in the world and I know that it will never return. And so I continue to breathe deeply, wipe the tears off of my face (and hers), thank the Great Spirit for the gift of this experience, for the ability to feel such divine pain, kiss the tip of her nose and brush my face against hers. Kind of heavy, I know. But I have to be real and this is what I am going through now.